China India Institute was co-founded by Professor Dr. Anil K. Gupta and Ms. Haiyan Wang in early 2007 in Bethesda, Maryland, U.S.A.. Born in India and China respectively, they joined their passion and over 60 years of research, consulting, and global business management experiences to establish this organization. 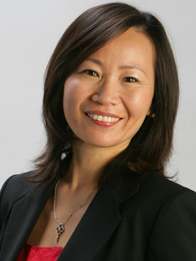 Haiyan Wang is Managing Partner of the China India Institute. A native of China, Haiyan is a highly coveted keynote speaker on global affairs, emerging markets, and the outlook and impacts of the rise of China and India. Haiyan is ranked at #28 by Thinkers50 as one of “the world’s most influential management thinkers.” Earlier, she was listed by Thinkers50 in “On the Guru Radar” and short-listed for the the “2013 Global Solutions Award” and “2011 Global Village Award.” She has also been named a “New Guru” by The Economic Times. Haiyan writes frequently for Harvard Business Review and has also been a columnist for Bloomberg Businessweek. She is the co-author of three highly acclaimed books: The Silk Road Rediscovered, Getting China and India Right (which received the 2009 Axiom Book Awards’ Silver Prize as one of the world’s two best books on globalization/international business) and The Quest for Global Dominance (2nd Edition). Haiyan has served as Contributing Editor for the Chief Executive magazine. Her opinion pieces have appeared in top international media such as The Wall Street Journal, Bloomberg Businessweek, Financial Times, Wired, The Economic Times, China Daily, The Times of India, South China Morning Post, as well as other outlets. She has also been frequently interviewed by CNBC, The Wall Street Journal, Fox Business, India Today, CCTV, CNN, Shanghai Daily, INSEAD Knowledge, and other prominent business media. A native of China, Haiyan speaks at major conferences such as the Summer Davos, TEDx, Economist, CNN Expansión, Brookings Institution, Asia Society events as well as corporate forums in the United States, Europe, Asia, and Latin America. Some of her speaking clients include Accenture, BAE Systems, Bombardier, CIGMA, Dell, TOTAL, KWM, Remax, Hershey, JLL, Parker Hannifin, KPMG, PwC, EY, Fairmont Raffles Hotels, Phillips Healthcare, Russell Investments, Anglo American, RHB Bank, Wesfarmers as well as universities and many industry associations. Anil is a member of the World Economic Forum’s Stewardship Committee for the Initiative on the Future of Consumption, the Bretton Woods Committee set up by the World Bank and IMF to advise them on solutions to global challenges, and the CNBC Disruptor 50 Advisory Council. He is a frequent participant at the World Economic Forum’s annual summits in Davos as well as regional summits in China, India, and the Middle East. 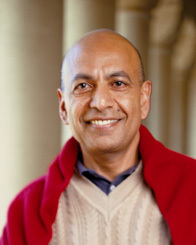 Anil is one of only 3 professors in the world to have been elected by his peers as a Lifetime Fellow of the three most prestigious bodies in the field – Academy of Management, Strategic Management Society, and Academy of International Business, with a combined membership of over 25,000 scholars worldwide. He is also the recipient of the 2017 Outstanding Educator Award from the Academy of Management for worldwide contribution to research, practice, and teaching on the topic of globalization. Anil is the coauthor of several highly acclaimed books including Getting Asia Right (forthcoming), The Silk Road Rediscovered (Wiley, 2014), Getting China and India Right (Wiley, 2009), Global Strategies for Emerging Asia (Wiley, 2012), The Quest for Global Dominance (Wiley, 2008), Smart Globalization (Wiley, 2003), and Global Strategy and Organization (Wiley, 2003) as well as over 70 papers in leading academic journals. Getting China and India Right received the 2009 Axiom Book Awards’ Silver Prize as one of the world’s two best books on globalization and was short-listed for the Asia Society’s Annual Bernard Schwartz Book Award. Chief Executive Magazine, Bloomberg BusinessWeek, Daily Telegraph, China Daily, Economic Times, and other outlets. He has been interviewed by Harvard Business Review, Economist, The Wall Street Journal, The Washington Post, USA Today, Forbes, BBC, CNBC, Bloomberg TV, Reuters TV, as well as other top-tier media. CEO2CEO Summits, and the Yale CEO Summit. He has also served as a consultant, keynote speaker and/or executive education faculty with some of the largest corporations in the world including GE, Wal-Mart, IBM, HSBC, Deutsche Bank, H-P, SAP, Microsoft, Schneider Electric, PPG Industries, Accenture, Marriott, First Data, Jacobs, ABB, Lockheed Martin, Indian Oil, Huawei, TeliaSonera, Metso, UPM-Kymmene, Cemex, and others. Anil has served as an elected board member for several companies including Origene Technologies (a gene cloning company), Omega (NASDAQ), Vitalink (NYSE), NeoMagic (NASDAQ). He also serves on the advisory boards of the E-Ship Centre at IIT Bombay, and Asia Silicon Valley Connection. He has earlier served as an advisor to the US-India Business Council and is a Charter Member of TiE-DC. Anil is the Michael Dingman Chair in Strategy, Globalization and Entrepreneurship at the Smith School of Business, The University of Maryland. He also serves as chairman, The China India Institute, a Washington DC-based research and consulting organization. He is a Distinguished Visiting Professor at Tsinghua University, China and Indian Institute of Technology, Bombay and has earlier served as a Chaired Professor in Strategy at INSEAD and a visiting professor at Stanford University and Dartmouth College. He received a doctorate from the Harvard Business School, an M.B.A. from the Indian Institute of Management at Ahmedabad, and a B.Tech. from the Indian Institute of Technology at Kanpur.